WHAT WE DO? WE SELL OPTIONS FOR INCOME. WE USE THAT INCOME TO BUY DIVIDEND GROWTH STOCKS! CHECK OUR TRADES ON OUR FACEBOOK PAGE OR HERE. Just for the record: Will the market (S&P 500) reach 2,400 this year? Today, we saw the market in its third day of selling, falling hard off of the highs and increasing fear among investors and speculators. Yet I could find one who was optimistic enough to claim that the selling is far over and that the market will actually go a lot higher in a matter of a few months. · Why I decided to write about it? There is tons of people, investors, traders, and speculators out there competing in predicting the next move of the market. This guy, however, sparked my attention because he said something I could see myself and strongly agree with. So I wanted to record his prediction to see if he was right or not. This post will stay here for some time and in a few months I will be able to go back and see if his assessment was right. Why bother doing it? Well, the trader, I am talking about, has a 6 year record of consecutive beating of the market by a quite large margin (really impressive in my opinion). In 2010 he started trading in his own mutual fund (he traded and invested in the market longer than that, but started his own fund 6 years ago) and since then he beat the market every year. His average annual return is 18.34% while S&P average return is only 10.47% for the same period. His name is Ivan Kollar and he is a manager of Marketocracy fund. You can check his performance on his track record page. · What is it that sparked my attention about this prediction? Ivan says that many investors are wrong in counting the cycles of the market. 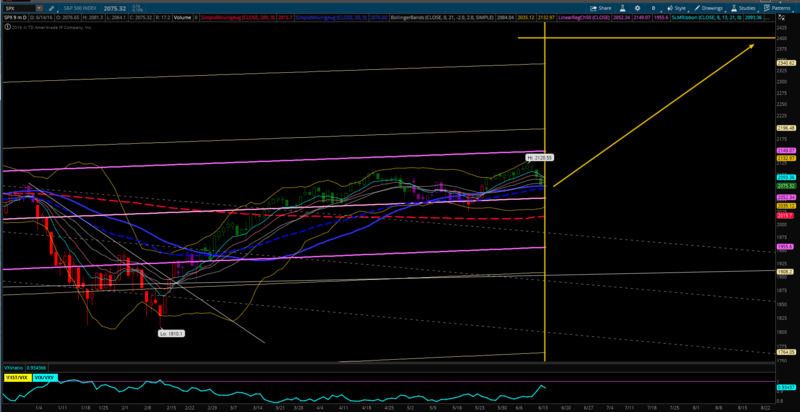 They misinterpret cycle count counting the current rally as another corrective cycle. Investors and traders simply expect another selloff. Ivan says that it is wrong and that we corrected from $2134 down to $1810 in February and that was a bottom. This claim wouldn’t be significant alone to me. I would normally consider it as yet another prediction from another crazy guy out there. But I noticed one thing in the current market sentiment which supports his claim that investors are wrong about their assessment. As a member of StockTwits I follow S&P on that website and it also shows the market sentiment. And the current market sentiment can be summarized as the most sold rally ever. Why? What happened? Since February 2016 the traders’ sentiment was 70% – 80% bearish. All the time! They simply refused to believe in this rally and they were bearish all the time. 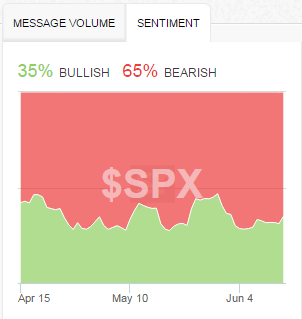 The sentiment above shows “elevated data” as for the long time there were only 20% bulls! However, I do not give too much credit to all claims of people on StockTwits. Their claims and trades are not verifiable. Many members claim driving Lamborghini and in reality they might not even have a drivers license yet. So, I am taking their claims and sentiments with a grain of salt. But this sentiment could be seen at American Association of Individual Investors (AAII) where only 27% of members are bullish. The rest is neutral or bearish. And I have noticed myself that investors have not believed the rally. Articles and posts on financial blogs were mostly gloomy and with every little price drop posts about perma-bears such as George Soros emerged describing why this market was going to crash. This is why Ivan’s interview caught my attention and I am actually willing to give him a credit and accept that there is something to his claim. Ivan says that “we are about to embark on the next upswing, (we might have already started) which will bring the market to 2400 and beyond before we take another break and move downward”. He adds: “The market will be decidedly higher within the next few months and the seesaw action that has occurred since the beginning of the year will vanish. I must admit I am bullish on the market and have a bias upward so I welcome this prediction and hope it will materialize. But I am not going to trade that. I would stick with a conservative put selling strategy against dividend stocks and see how this prediction plays. I will come back and review this prediction three months later. · What about you? Do you think we will reach $2400? Will the S&P 500 reach $2,400 in the next 3 or 4 months? Or comment below in comments! What do you trade / invest in?